Basically from the end of the Civil War until the start of World War 1. 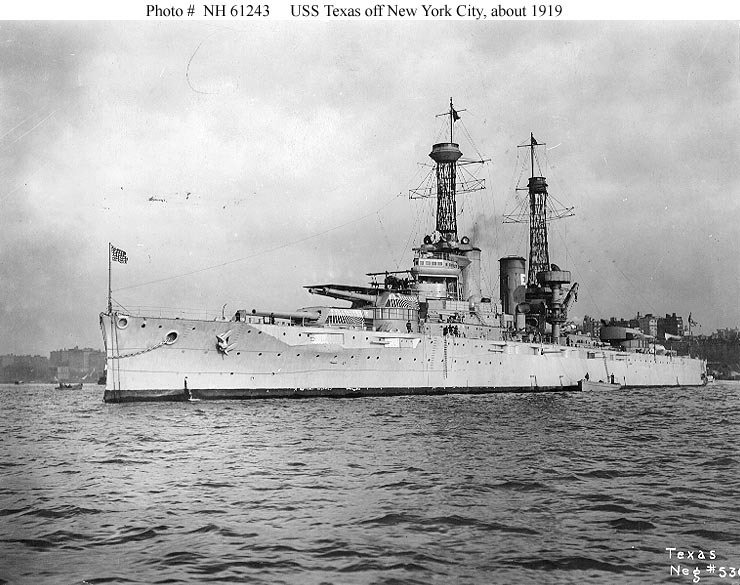 What type of a naval power was the US? Was it a world class navy? 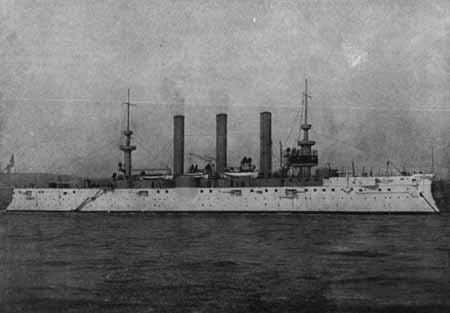 The U.S. Navy did not achieve parity with the Great Power navies until the early 1900s. The drive to make the Navy the arm of a first rate sea power arose from U.S. 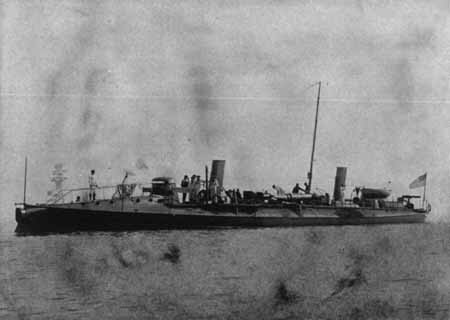 Naval experiences in the Spanish American War, the influence of Captain Mahan's work on Sea Power, and the rise of the Japanese Navy in the pacific, as exemplified by the defeat of the Russian Baltic Fleet in the battle of the Tsushima Straight. Its arrival was signalled by the cruise of the "Great White Fleet". For the record, the U.S. Army at the time was ranked below Argentina's. The First World War marked the beginning of America's rise to world power status. ...For the record, the U.S. Army at the time was ranked below Argentina's. ..
Hard to believe. Please show evidence, please. Shouldn't this thread be moved to the Naval history section? Anyways, to answer the questions..
What type of a naval power was the US? it was more of brown water navy ranking around 20th in terms of naval power. Was it a world class navy? Prior to the 1890's, no. After the Spanish-American war, yes. I believe it has been said that she ranked third only after the British and German navies. Not really that hard for me too believe. There was no direct threat to the hemisphere, the Northern continent or the US. So the army was allowed to stay small and inconsequential as far as the world armies were concerned. I see, I confussed Army with Navy (It is not that hard if you recall that in Spanish Navy is Armada). I agree then that's possible. The U.S. of the time had a small Army but already way more technologically advanced than most others around the world. The US army before the reforms of Elihu Root (Sec of War) was mostly a constabulary force that was expanded by regiments of volunteers when needed (Civil War; Sp-Am War). It was not advanced in any way in relation to others. The army had no general staff to speak of until after 1903, and no war college to study and analyze military history, or to train staff officers. All that had been done in the course of the Civil War in regard to staff and logistical organization and practices had been dismantled when not needed after the 1860s. The course of study at West Point had been neglected and the officers passed out from there, other than engineers, were not particularly well educated, some even needing remedial training at post graduate 'schools.' A sorry situation indeed. The US army did have good engineers, whose primary duties wound up being large civil engineering projects that benefitted civilian interests probably more than the army. Weapons tended to be rather antiquated until the years after 1900, when new small arms and artillery were developed. However, the Model 1903 Springfield rifle had a carbon copy of the German Mauser breach mechanism which we paid a royalty for, and the good M1902 3" field gun never reached it's potential as there were too few of them to equip the US expeditionary force in WW I. No, we did not have any advanced army until the middle of WW II. Today is a different story . I would have to argue that the US navy, along with all the others, had to go back to square one in 1906 after the Royal Navy commissioned HMS Dreadnought. 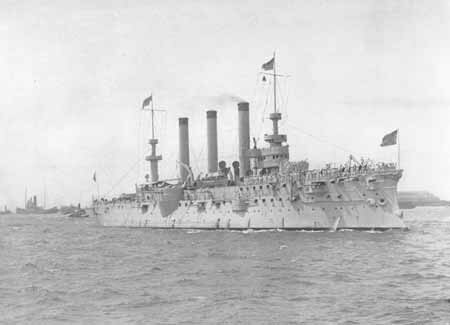 The Great White fleet was all obsolescent battleships and mostly older secondary vessels (cruisers, etc.). That fleet was OK for a demonstration as it made it's famous voyage, and was superior in numbers to Japan in the Pacific. 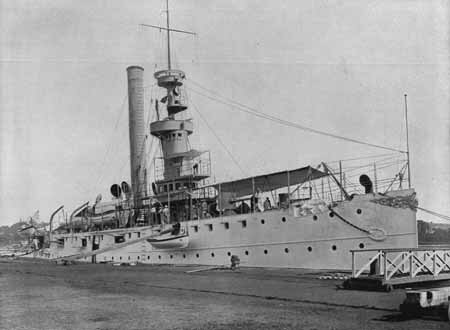 But until the commissioning of dreadnought BBs, after 1909, and up into the period of WW I, it was not only behind the times, it had very little important operational history. 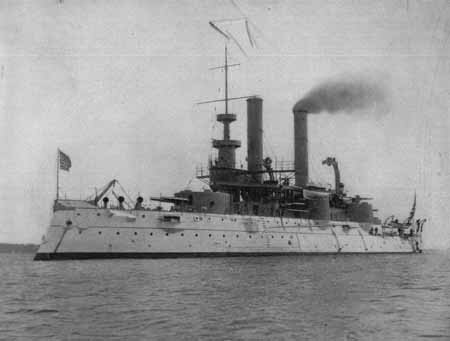 Until WW II, the US navy was always very deficient in numbers of cruisers - the eyes of the fleet. 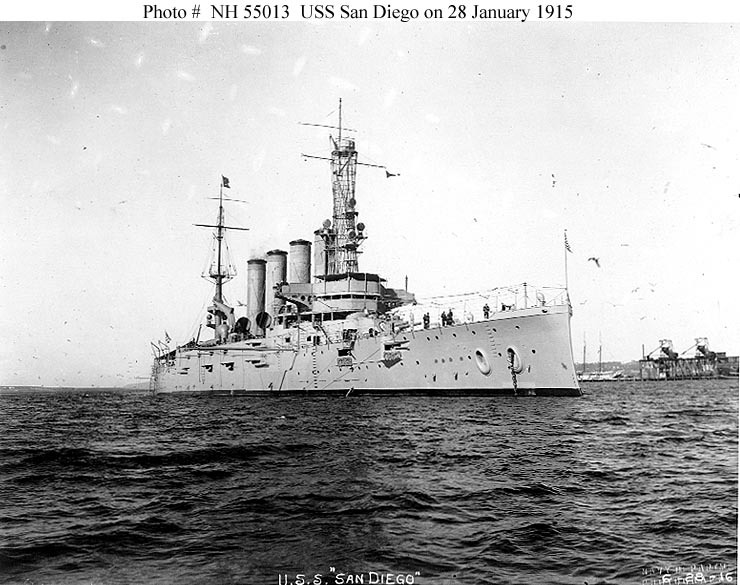 Part of it was that Congress was funding the navy on the cheap, which it continued to do until the late 1930s. Yes, the U.S. Navy did not come in to its own until the Second World War. Ditto for the Marines, who even while bogged down in the Banana Wars (teens through 1930s), managed to develop the doctrine and prototype vessels for modern amphibious warfare, thanks to an alcoholic Major named Ellis. But U.S. armament production in WWI laid the basis for the military expansion that took place during WWII. As an aside, the legend over the Naval Hqs in Madrid reads: "Ejercito del Mar", just as the Air Force's reads "Ejercito del Aire" and the Army's "Ejercito de la Tierra". Of that much I/m sure, because I was surprised that it did not read "Armada", even though I have seen it referred to as the "Armada" in military articles. I've also heard it referred to as the "Marina de Guerra". The U.S. was already a superpower in 1898. No doubt about it. Of course it got potentiated for WWII. Actually Pike, there is no disagreement between us. Your just more patient, articulate and generous than what i was being at the time when i originally posted to the thread. Anyways great post! A very interesting film in Youtube is here. 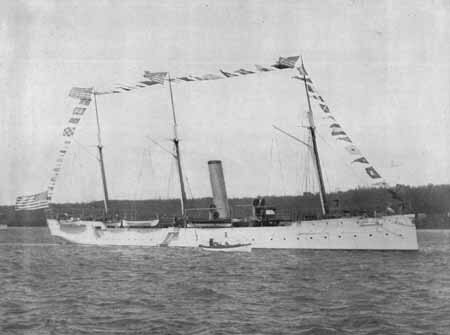 It is about the U.S. navy power during the Spanish-American war and the Filipino Genocide they caused when invaded those Spanish islands. No it was not. Read other peoples' posts more, please. This has nothing to do with the thread. You as usual are interjecting your ill informed bias into what is an otherwise interesting discussion. I am asking you to stay on the topic. EDIT: This stuff looks like the usual History Channel drivel - film of US naval vessels that were not built for 15 or 20 years. From the point of view of any other navy, Manila Bay was an insignificant engagement. And of course an easy victory for the US ships, which heavily outgunned the Spanish (and were far better armoured). I agree some of the ships in the first clip are certainly post-Spanish war, and indeed the commentator himself admits that much of the rest was fake. What happened or didn't happen to the Filipinos is irrelevant to the thread. Please, lets reserve the word genocide to mean the systematic attempt to kill all actual members or all preceived members of an ethnic group. Defining U.S. oppression in the Phillipines, Israeli oppression in the Gaza Strip, or right wing / left wing political oppression elsewhere is genocide simply cheapens the term. Close attention to the small arms in the pictures reveals that the majority of American troops were armed with the 1866 "trap door" Springfield rifle, a single shot breech loader still firing a black powder cartridge (.45-70 calibre), and Indian War era Colt revolvers (officers and cavalry). The uniforms also date to the Civil and Indian Wars. Canvas cartridge belts holding single rounds, blue wool shirts, felt hats. These indicate many of the photos were of State troops and Volunteer units. There is the shot of the occasional Regular with a Krag Jorgensen rifle. All of which underscore the mid-19th Century state of the U.S. Army in a period when European Armies and the Japanese had gone to repeating rifles using smokeless powder capable of inflicting casualties at long range. Regiments numbered 1 to 10 (with the 9th and 10th being Black). This was the Regular Army that garrisoned the country, and fought the Indian Wars, the Spanish American War, and Philippine Insurrection. They were able to fight the last two only by calling State militias and U.S. volunteers into temporary service. The point being that at the dawn of the 20th Century, the U.S. military machine was very much locked into an 1865 time warp. Elihu Root would change that beginning in 1901. I'm surprised that the producers of this film did not mention Japan as an emerging threat. The Japanese had already defeated the Chinese in the 1894-95 Sino-Japanese War, assassinated the Korean Queen in 1895, left behind a residual semi-occupational force in Korea, and was beginning to build Korea in its own image. It had also taken Taiwan from China, and was fighting a pacification campaign against the Indigenous tribes there. They would go on to defeat the Russians in 1905, with a peace brokered by T.R. 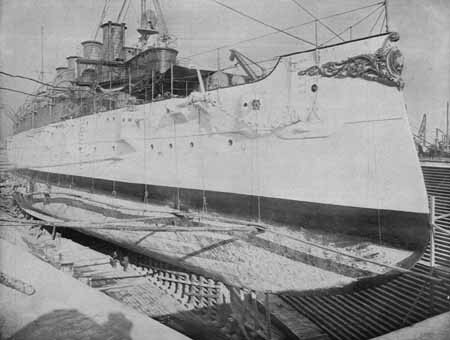 Roosevelt at Portsmouth, New Hampshire. That same year, the Japanese forced a protectorate treaty on the Koreans, and appealed for help. The U.S. at the time could match neither the Japanese Navy, nor their Army, in Asia, and thus signed a ministerial agreement stating that they "recognized Japanese interest in Korea". In 1910, the Japanese simply annexed Korea as a colony. In ten years (1895-1905) they had out-distance all the neo-Colonial powers in East Asia. Yet they were not even on the radar of this film's producers. Bias? To repeat the name given to an event? If someone killis every single man in an island of age ten or more, I would call it the same way, of course: genocide. Pinguino, you go to extraordinary effort to make a fool of yourself. Why? Because I don't agree with you? I don't know why you don't want to accept the U.S. was a superpower already at that time. Perhaps it is the American myth that Americans always fight in disadvantage, which as always been false. US was an emergent power at that time. Britain was a superpower - compare its naval might to its contemporary US counterpart. Oh yes. I agree on that. However, by 1914 (16 years later) the Americans had catch it up. In 1914 the Royal Navy was by far the most powerful navy in the world. 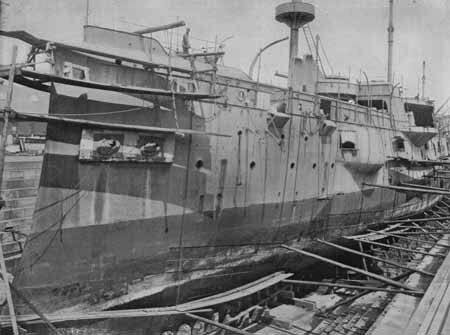 The Royal Navy's basic responsibilities included policing colonies and trade routes, defending coastlines and imposing blockades on hostile powers. The British government took the view that to do all this, the Royal Navy had to possess a battlefleet that was larger than the world's two next largest navies put together. By early 1914 the Royal Navy had 18 modern dreadnoughts (6 more under construction), 10 battlecruisers, 20 town cruisers, 15 scout cruisers, 200 destroyers, 29 battleships (pre-dreadnought design) and 150 cruisers built before 1907. True as it later turned out, but honestly did any major naval powers at the time think the US was actually going to win this war? Everything that i have read pointed to the expectation of the other naval powers, that the US was going too lose that war in a very humiliating way! Spaniards believe it. In fact, when one read the Spanish side of the history they despict an United States that pushed for a war with all the advantages at its side. No evidence need be stated, It is well known that when "Black Jack" Pershing was fighting the Mexicans early in the 20th. century, the US Army was so small and militarily insignificant that the task of building it into a force capable of even considering taking on the Germans when WW1 was declared, was thought to be an impossibility. Being charitable, this might be said to go some way as to explaining why the USA chose not to enter that war until three years AFTER its commencement ......................and even then it had to be supplied with artillery from the French, and tanks from the British, plus much materiel of other kinds. In fact the US was only a few rungs higher than Argentina on the size of the economy too. Penguin, Armada is a historical term for the Spanish Navy. But if you visited the Ministry of Defense in Madrid, the various sub-ministries are labeled: Ejercito de Tierra, Ejercito del Aire, Ejercito del Mar. As the previous poster noted, the U.S. had to borrow tanks from the Brits and artillery from the French to equip their divisions in France. They also had to borrow machineguns from both the French and British, since the U.S. had no machineguns of its own, other than the Gatling which had last been used in the Spanish-American war. This is not to say that some small numbers had not been bought and tried. The Navy had some Colt machineguns in the war with Spain, and when Pershing entered Mexico on the punitive expedition against Pancho Villa (where their mission was not to 'fight the Mexicans', but to bring Villa to heel) the few machineguns they had were European. The small corps of Army regulars that fought the Spanish-American war did so with Krag-Jorgensen rifles, but the majority of volunteer and state units fought with it with the Model 1866 Springfield, a single shot 45-70 blackpowder cartridge trap door loader. The opposing Spanish had Mauser bolt action 7mm rifles that used smokeless powder. The Americans were so stunned, that they purchased rights to manufacture a new rifle based on the Mauser action, which emerged as the Model 1903 Springfield in 30-06 calibre. This hardly represented a major technological leap forward, given that the Argentines and Chileans had been using Mausers for some time. Many armies were also equipped with Maxim and Browning machineguns, both invented by Americans, and both of which had NOT been adopted by the U.S. military on any large scale prior to the end of WWI. Indeed, the U.S. military was so forward thinking, that a young Cavalry officer named Patton spent all his time perfecting the perfect Cavalry sabre, which was issued beginning in 1915. Luckily, the Cavalry also received the Model 1911 Colt Automatic, which brought it up to date with most European Armies. So, the real period for modernization of the U.S. Armed Forces started in the wake of the Spanish-American War and spanned over 30 years. The U.S. may have been the first to fly an aircraft, but they were behind the British, French, and Germans when they entered the war in 1917. Even after World War One, the modernization of the U.S. Armed Forces was a slow and jumpy process, interrupted by the Great Depression. The Army did develop automatic weapons (Model 1918 Browning Automatic Rifle, and the Model 1919 Browning ligh machineguns), and spread the (French developed) doctrine for indirect fire throughout the Artillery. But, two Divisions of Horse Cavalry existed right up until 1942. Advances in Armor (Tanks) was hindered by a combination of Cavalry officers convinced that the horse could not be replaced, and Infantry officers convinced that the tank was nothing more than a mobile infantry machinegun nest. Paratroop formations existed in the Soviet, French, and German Armies, but the U.S. couldn't decide to even test a platoon of such men, to see if it would work, until after the Germans had already used them. The only bright spot was the Marine Corps who, while tied down in the Banana Wars, allowed a mere alcoholic Major to develop the doctrine for Amphibious Warfare that proved so crucial to the Pacific theatre. The U.S. Armed Forces you keep referring to as technologically superior did not come along until World War Two. Prior to that, their victories rested far more on 'guts and good shooting'.